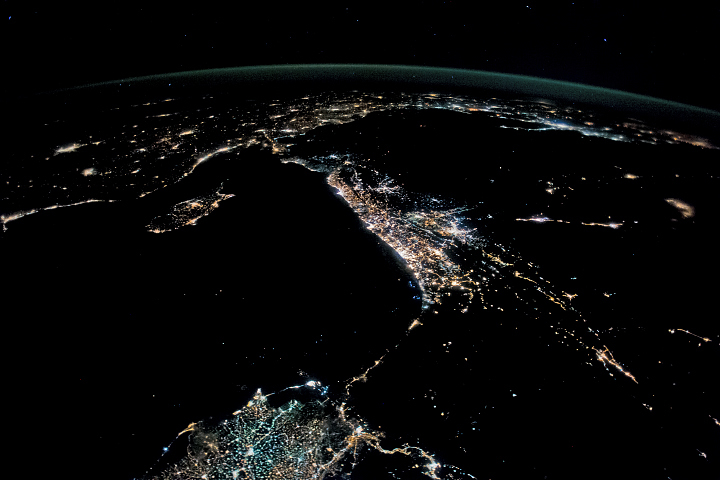 Unlike most satellite imagery and data, views of Earth at night tell a distinctly human story. From fires to fishing boats to urban neon, lights show where people have made their homes, set up their industries, and laid down their roads. The lack of light usually reflects rural or uninhabited areas, though sometimes it means there is not enough electricity to keep lights on through the night. Changing patterns of light over time also tell us something. 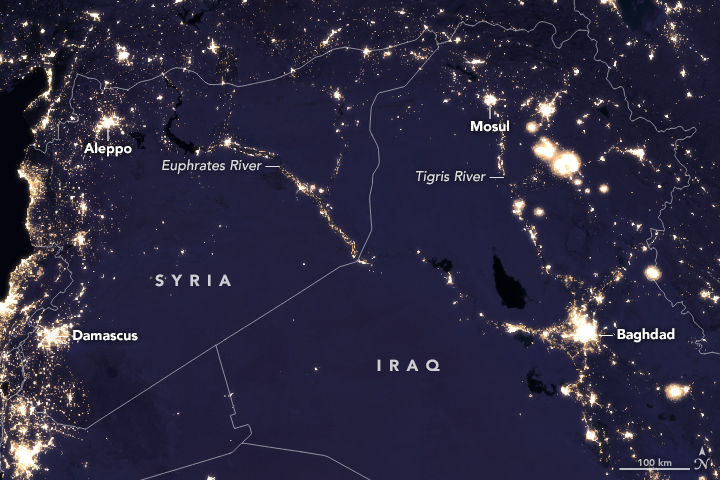 The images above show differences in nighttime lighting between 2012 and 2016 in Syria and Iraq, among several Middle Eastern countries. Such images interest demographers, engineers, and social scientists because they can indicate economic development or the lack of it. Some changes reflect increases or decreases in electric power generation or in the steadiness of the supply. Even areas that switch to LEDs or other energy efficient lights can show up over time. 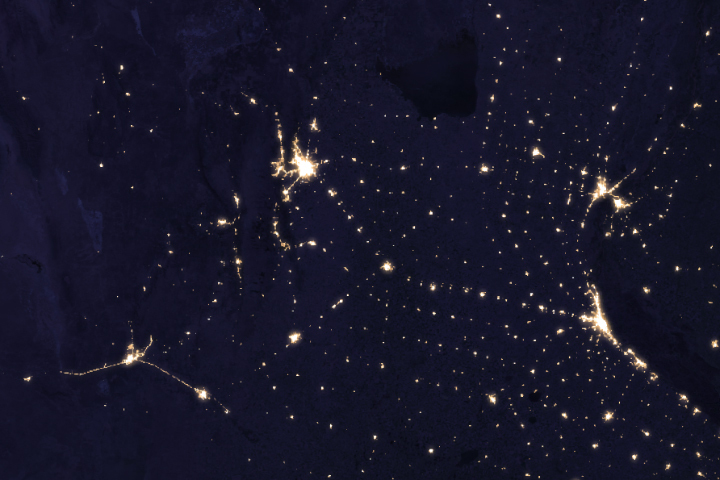 Night light images also have value for international relief and humanitarian organizations, which can use this data to pinpoint areas in need. 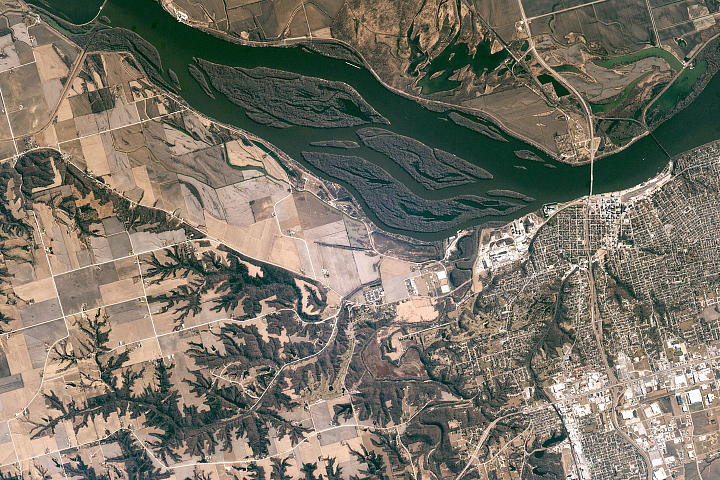 NASA makes its Earth observations freely and openly available (often via the Web) to those seeking solutions to important global issues. Several current applied sciences efforts within NASA are aimed at making satellite data more readily accessible for disaster response and the delivery of aid. Each image above is drawn from a global composite that was made by selecting the best cloud-free nights in each month over each land mass on Earth. 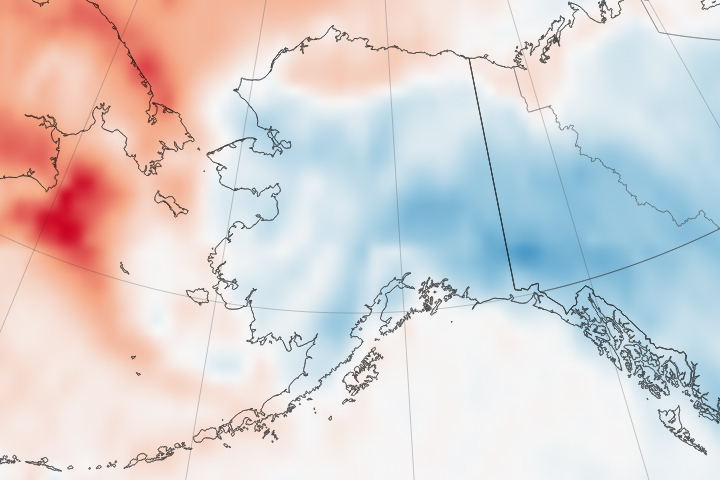 The data come from the Visible Infrared Imaging Radiometer Suite (VIIRS) on the NASA-NOAA Suomi NPP satellite. 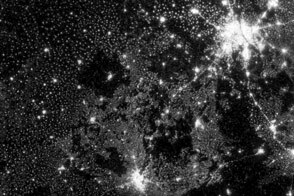 VIIRS includes a special “day/night band,” a low-light sensor that makes quantitative measurements of light emissions and reflections, allowing researchers to distinguish the intensity, types, and sources of night lights and to observe how they change over several years. 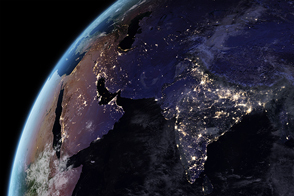 A research team led by Miguel Román of NASA’s Goddard Space Flight Center recently released new global maps of Earth at night from 2012 and 2016. Román and colleagues are collaborating with institutions such as the U.S. Federal Emergency Management Agency and the United Nations to enable near-real-time applications of such data, in addition to fundamental research. In the images above, the changes are most dramatic around Aleppo, but also extend through western Syria to Damascus. Over the four years, lighting increased in areas north of the Syrian border in Turkey and to the west in Lebanon. According to a 2015 report from the Voice of America, as much as 80 percent of the lights have gone out in Syria over the past few years. In Iraq, some northern sections near Mosul saw a decrease in light over the years, while areas around Baghdad, Irbil, and Kirkuk saw increases. 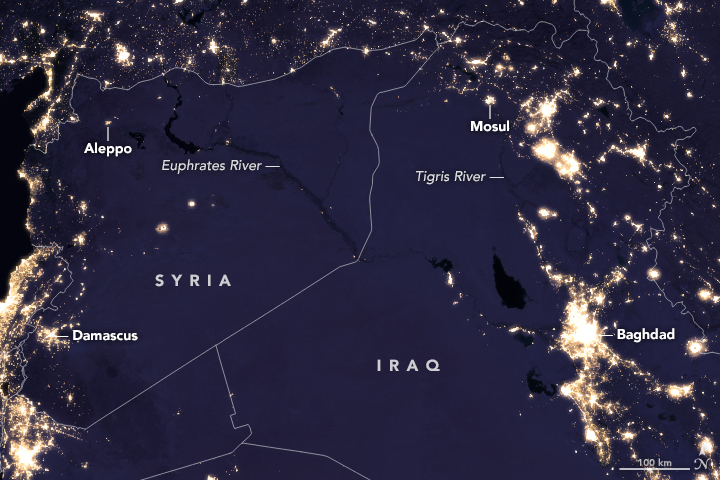 Note, too, the change in electric light patterns along the Tigris and Euphrates river basins. International agencies such as the United Nations Institute for Training and Research Operational Satellite Applications Programme (UNITAR-UNOSAT) have used such imagery in the past few years “to track fast-moving conflicts and to update our UN colleagues on where the front lines might be,” said Lars Bromley, a remote sensing specialist with the agency. UNOSAT works to “improve the integration of satellite imagery and geospatial data in supporting global UN operations and activities in the areas of disaster response, humanitarian support, human security, and human rights.” Nighttime imagery helps relief and peacekeeping groups identify areas that are most in need of aid and support. 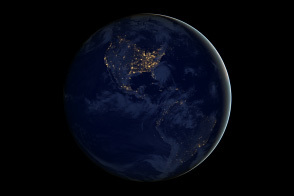 To view and download images and stories of night light science, visit our Earth at Night page. 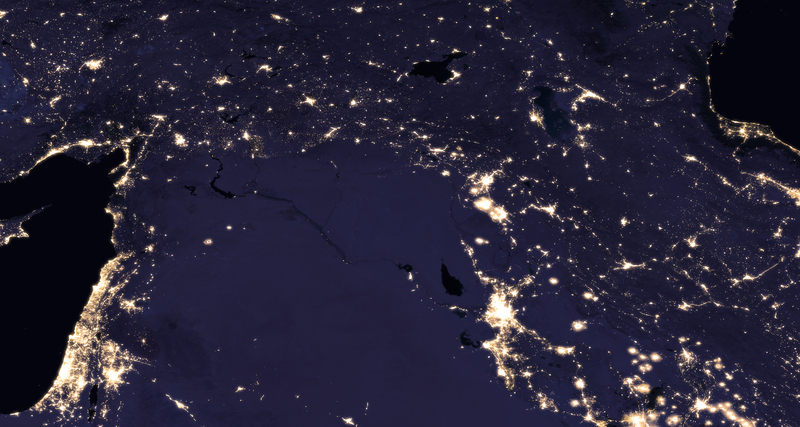 Changing patterns of nighttime lights are of great interest to demographers, engineers, and humanitarian relief organizations. Román, M. O. and Stokes, E. C. (2015) Holidays in lights: Tracking cultural patterns in demand for energy services. Earth’s Future , 3, 182-205. UN Institute for Training and Research Operational Satellite Applications Programme (2014, June 12) Visible Light at Night Over Syria Using the Visibile Infrared Imaging Radiometer Suite (VIIRS-Day/Night Band)—Analysis with VIIRS Data Acquired 01 May 2014 & 15 August 2012. Accessed May 9, 2017. 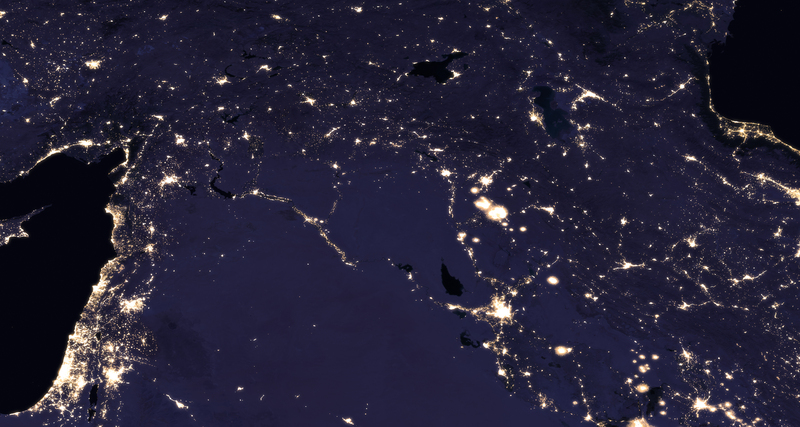 UN Institute for Training and Research Operational Satellite Applications Programme (2014, August 4) Visible Light at Night Iraq Syria Using the Visibile Infrared Imaging Radiometer Suite (VIIRS-Day/Night Band). Accessed May 9, 2017. Voice of America (2015, March 12) War Has Left Syria in the Dark, Images Show. Accessed May 9, 2017. ESRI (2017, April 28) Lights On, Lights Out. Accessed May 9, 2017. Motherboard (2016, December 5) Syria’s River is Overflowing Now That Its People Have Fled. Accessed May 9, 2017. Müller, M.F., et al. (2016) Impact of the Syrian refugee crisis on land use and transboundary freshwater resources. Proceedings of the National Academy of Sciences , 113 (52) 14932-14937. Pew Research Center (2016, October 18) Conflicts in Syria, Iraq, and Yemen lead to millions of displaced migrants in the Middle East since 2005. Accessed May 9, 2017. CIA World Factbook (2017) Middle East: Syria. Accessed May 9, 2017. CIA World Factbook (2017) Middle East: Iraq. Accessed May 9, 2017.